Caren Scott is a good host. She has new poems in Miracle Monocle about science and sadness and things. I like taking bad pictures with my camera phone. This is a bad picture. We miss you on the East Coast, Caren. I think this photo is a masterpiece. 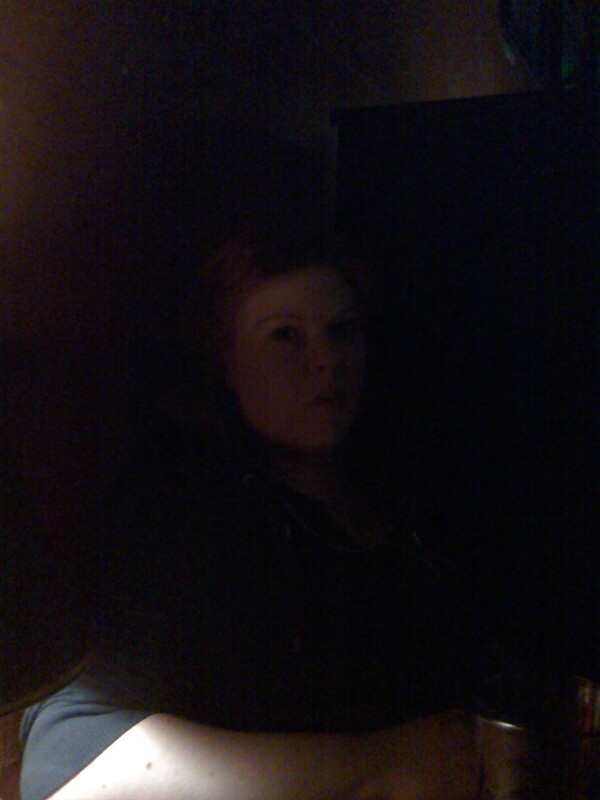 It was taken in a very dim bar. You’re the da Vinci of cameraphone photos. I also miss me, and yoos, on the East Coast. I hope to be out that way before the summer is out. Caren, yes, let me know when you are here and you can call me Brosef.